With C2C Country to Country just around the corner, CountryLine, the world’s first and only fan club app for country music have announced brand new partnerships with both C2C, the biggest country festival outside the US, and Lionsgate, the LA Studio behind shows like Nashville. The new deals will ensure CountryLine continues to offer top class country content to fans across the world. 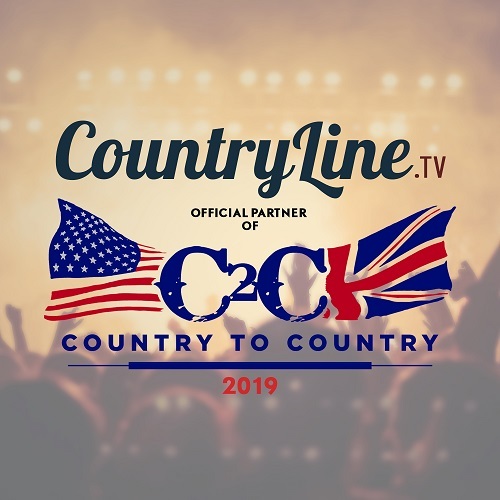 The official partnership deal with C2C will see the CountryLine team hit the “Town Square” at the O2 throughout the festival, hosting a photobooth, introducing artists for meet and greets, and handing out CountryLine goodies. For C2C weekend only, CountryLine is offering attendees the exclusive chance to sign up for one year’s free access to the app’s premium country content. 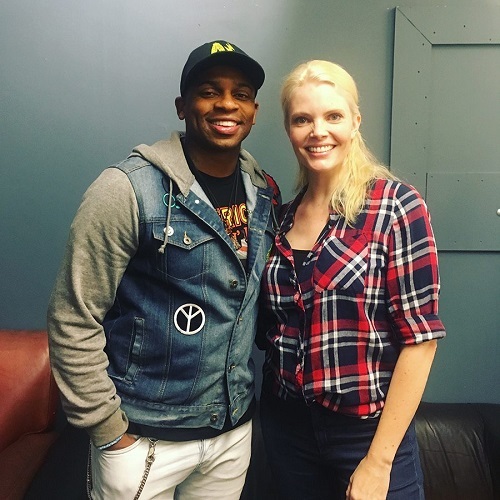 The app will also feature an abundance of C2C content, with interviews already confirmed with Jimmie Allen, the first black US country singer to reach number 1 with a debut single, Michael Ray, RaeLynn, Lainey Wilson, The Wandering Hearts and Catherine McGrath. CountryLine is committed to delivering the best country music experience and is lead by a world class leadership team, with investors including Sir Elton John and partners including “Whispering” Bob Harris (OBE). A CountryLine subscription costs £2.99 per month or £29.99 for a year. To take advantage of the special CountryLine C2C offer use code C2C2019. Download the COUNTRYLINE app for your iPhone or Android phone. The Co-founder and Creative Director of CountryLine is a former actress and model turned entrepreneur perhaps best known for her roles in Clash of the Titans and Kingdom of Heaven, and for her covers in Vogue and Marie Claire, has now made a career out of her passion for country music. Her vision was to connect audiences with their favourite musicians and creators across the globe, and to house the cream of the country music scene in one place for audiences everywhere to enjoy. Can you explain when CountryLine first started and what inspired or sparked its creation? Thanks for your kind words! I always love hearing when people are enjoying the content we’re putting out there. CountryLine came about as an idea that myself and Simon Walker, my co-founder, came up with when we realised there was a gap in the market to serve the ever-growing country music fanbase. No one had ever done an app version of a global fan club. I’m a country fan myself and I was tired of having to source out five different websites to read reviews or see who was coming to play so we created the one-stop shop for all country music fans. For anyone new to CountryLine please complete the sentence, Country Line is……..
…the must-have app for country music fans. All the country you’ll ever need, in your pocket. When did you first get interested in country music? Was it firstly the American scene or was it the UK resurguence in the genre with festivals like Country To Country taking off? I grew up a country music fan. My dad was in to Johnny Cash and Willie Nelson so I guess I discovered it through the classics. It was always something I was a little embarrassed about – none of my friends were in to country! The first time I plucked up the courage to go to a country music concert by myself I wasn’t sure what to expect and I walked in and the place was packed!! I felt like I’d walked in to a room full of friends, it was great! There is now a lot of FREE footage on the CountryLine website. The Laura Evans and Friends concert footage (Countryline.tv/watch) was a real treat, thank you! Is this a taster of what to expect when a fan subscribes? The plan is to always have a lot of free content on the network. The premium content that people can upgrade for includes some fantastic tv shows and country movies. Plus extra behind the scenes footage, gig recordings and exclusive members deals and offers. The aim is to give CountryLine members the best country experience they could ask for! There is a COUNTRYLINE app available for iPhone or Android phone. If you don’t own a smartphone is ALL the subscription only premium country content also available online? CountryLine is available on android, iOS, on the web, Amazon Firestick and Apple TV. All free and premium content is available on all platforms. CountryLine names one of its investors as Sir Elton John. How and why did they get involved? We were lucky enough to be introduced to Sir Elton John and his team last year when he was releasing his Restoration album. Initially we just wanted to do an interview with him to talk about it and the amazing country artists he had worked with for it. He liked what we were doing with CountryLine, especially our focus on upcoming and homegrown talent, so he ended up investing in the business. We’re very pleased that he shares our vision! What has been your greatest challenge with CountryLine? Competing with SKY TV’s Keep it Country or Total Country perhaps? What does CountryLine offer that they don’t? We are not in competition with Keep It Country or Total Country. I think both channels are doing marvellous jobs and personally the more people sharing country music to the world the better! We are something completely different to a tv channel. We offer fans a chance to get closer to their favourite artists. And likewise, we are a platform for artists to reach new fans. We have interviews and music videos, a gig guide, ticketing, competitions and country lifestyle. We go beyond the music. The last 2-years has seen a huge shift in way music is consumed. Streaming music now accounts for 75% of U.S. Label revenues with just 11% from Digital downloads and 12% from CDs and vinyl records. We have experienced zero sales of music from our Blog with people now longer feeling they wish to physically own music anyone. This must be a real struggle for Independent acts. As a result, do you or will you do anything differently, for example highlighting an artist’s tour dates rather than new music they may have? CountryLine is a level playing field. We interview the top Nashville-based artists who sell out stadiums and have world tours. And we also feature upcoming talent who are trying to put their music out there independently and gig locally. Fans still want to hear about new music so we’ll always talk about upcoming albums and new releases but we do encourage people to download if they really like a song or an album! A passion for what I do and belief that we are creating something that the fans and artists clearly love. What moments in your career stand out in your memory as highlights and achievements which you are proud of? I’m super proud of what we’re doing at CountryLine but there’s so much more to come. It’s an exciting journey. Best Gig/ Concert you have attended? I’m a bit of a rock-chick. I love my biker boots, skinny jeans and band t-shirts. Chips or fries depending on which side of the pond you’re on! Quantum Leap. Most people won’t know it. Trust me, it’s a classic. Who are your heroes or role models? I admire strong female role models, people who are not afraid to stand up and speak out and people that have overcome the odds and succeeded. If you only have one CD for seven days on a deserted island, what artist would it be? Zac Brown Band. Desert island? It seems appropriate! If you could have dinner with a male and dinner with a female, who would they be? If we’re talking fantasy dinner guests then Winston Churchill and Marilyn Monroe. Can you imagine the conversations?!? If price were no object, what would you like for your next birthday? 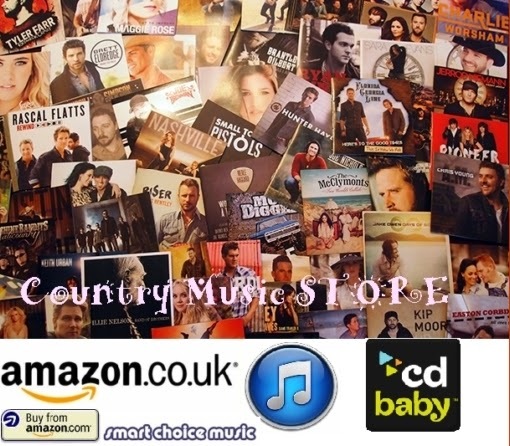 Check out THE COUNTRY ALBUMS of 2016 Discover, BUY and check out some you may have missed in 2015 and 2014... Go to the Music Store Page or Click LOGO above THANK YOU! AMAZON STORES We have kept this site advert free but Anything you purchase via Amazon UK helps Country Routes Blog Thank you! Anything you purchase via Amazon.com helps Country Routes Blog! Danielle Bradbery makes a splash with "Shallow"